Home Dogs Dog Feeding Schedule – Should I do it and if so, how? When it comes to feeding our beloved four-legged companion, people use different methods. Well first, you can feed your dog with a dog food or human food, but that’s not what this article is made about. 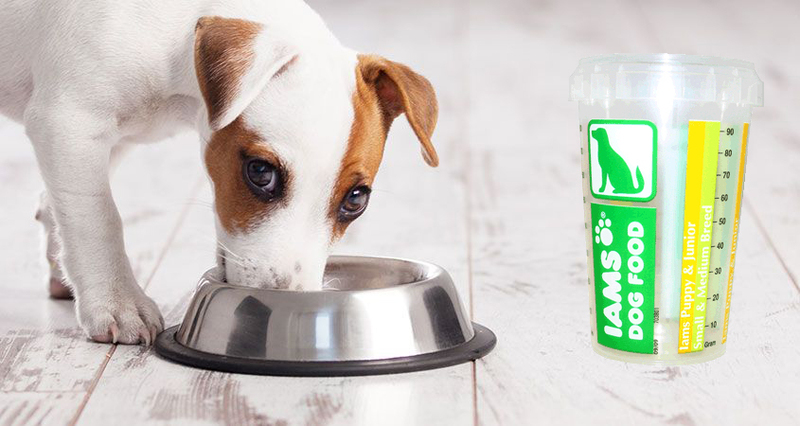 We wanted to explain the difference between free feeding and scheduled dog meals, which is better and how to start feeding your dog on a schedule. Let’s say you are using a dog food. Do you just refill your dog’s bowl as soon as it’s empty or you only fill it at specific times a day? Believe or not, but the way how you feed your dog can impact not only your dog but also other animals as well as yourself. First of all, there are pros and cons for each of these methods. However, for most cases, scheduled feeding is a way to go. Before deciding between one of these, let’s find out what they are and how do they differ. Free-feeding is about letting your dog eat whenever it wants to. This means his bowl is always full with dog food and get refilled whenever it’s empty or is about to run out of food. For most of us, it’s easier to just free-feed our dogs as it requires less attention and your beloved pet will never get hungry. The second way to go is doing scheduled meals. This means that in a specific time (plus or minus) you refill your dog’s bowl with a certain amount of food and you do this regularly a set number of times a day. However, the overall daily food amount doesn’t change. This results into better control over your dog, it’s health condition and improved training. Lack of food can make it more aggressive towards anyone who would want to take away their food. This question isn’t so easy to answer as most of the dogs are different: they live different lifestyles, eat differently. However, in most cases, a proper scheduled feeding is the way to go. Why? Because of the control over your dog. Training goes better as there is more motivation to get a treat and you have a pulse on its health condition. You will notice immediately if your dog feels sick and he has lost his appetite. There is also a much lower risk of obesity and you can eliminate your cat from stealing dog food if you have multiple pets and not only pets – you can be sure that no rats or mice will touch your dog’s kibbles. Of course, sometimes you can free feed your dog, but there are some things you will have to keep in mind. First, as we already learned, you have a full control over your dog’s health condition. So if you have decided to free feed your dog, you can do so, just make sure it gets enough exercise. If it does, then free feeding will do no harm. Make sure to go on long walks with your dog for at least 30 minutes when you go out or let him run wild and free and play with other dogs. However, if your pet mainly lives at home waiting for you all day and barely gets exercise, you should perform scheduled meals. HM tip: If we are talking about dog’s water supply, it always has to be there despite your decision of free feeding or feeding on a schedule. Your dog always has to be able to drink a fresh water when ever it wants to. When the water bowl is empty, don’t hesitate refilling it. How to feed your dog on a schedule? The first thing to keep in mind is that scheduled dog feeding is a routine task that you always have to remember to perform, if not your dog will starve. So do it only if you can adapt are remember to feed your dog. The next step is finding out how much food your dog needs on a day. You can talk about this with your vet or check it at the back of dog food packaging. However, we would not rely on theoretical data like this because each dog is different and the total daily amount of food depends on its lifestyle. So we advise starting out with advisable day portion set by your vet and then see if your dog needs more or less. You will find the correct food amount with time. The process of scheduled feeding is very straight forward and easy. When you know the amount of food your dog needs, split it into at least two portions. Most adult dogs will do great by eating two times a day. You will have to feed your dog in the morning and then later in the evening. You don’t have to be super precise with timing. Your dog can also associate eating with you coming back from work. Once it’s time to feed your dog, fill his bowl with the portion of one meal, call it and give it a time of about 30 minutes. When the time runs out, empty the bowl or take it away. Don’t worry if your dog leaves something, with time it will adjust and eat everything from its bowl. Remember that you don’t have to compensate portion with the leftovers of the previous meal. Another solution besides manual feeding is using an automatic dog feeder. Overall scheduled feeding is an excellent way how to control your dog’s health. You can immediately tell if your companion has lost its appetite or something is wrong. A key factor is measuring the daily amount of food your dog consumes. Therefore better give your pet larger portions and empty the leftovers so it eats as much as it wants and with time you can adjust the amount of food in each portion. As for free feeding – it’s less advertisable but you can free feed your dog if it gets enough exercise and lives an active lifestyle.